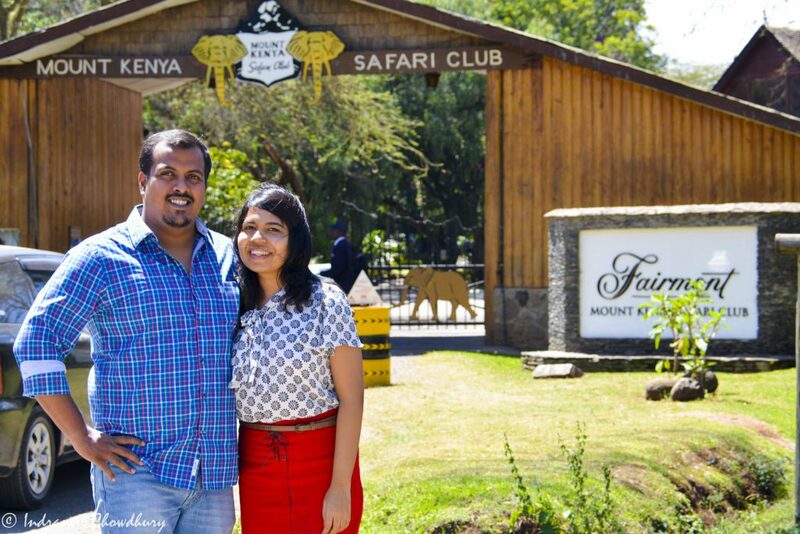 Our first pit stop during our road trip in Kenya was the Fairmont Mount Kenya Safari Club in Nanyuki. From there, we were supposed to head over to the Ol Pejeta Conservancy, but more on that later. Located about 200 km away from Nairobi city, the Mount Kenya Safari Club is a luxury lover’s delight! 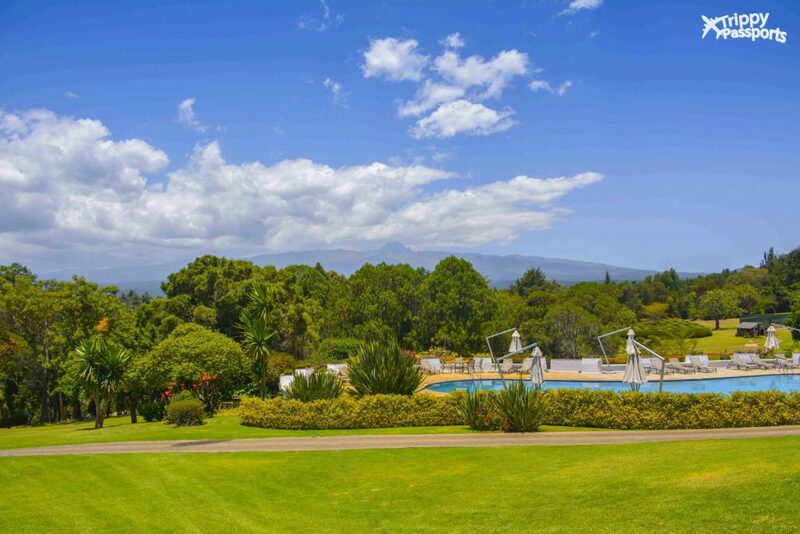 With imposing views of Mount Kenya in the backdrop and lush landscaped gardens as far as the eyes can see, this property was the perfect introduction to the beautiful Kenyan countryside. Relief to the sore eyes! 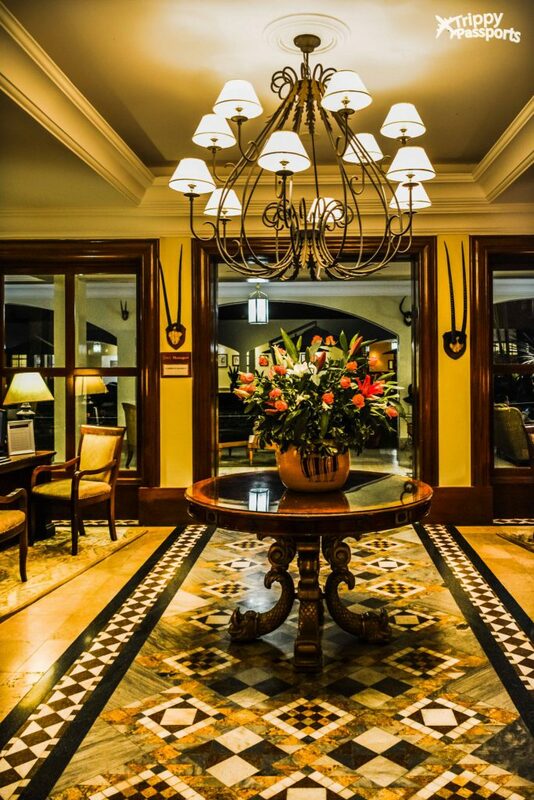 With 120 luxurious rooms equipped with all modern amenities, the property still retains its vintage charm. 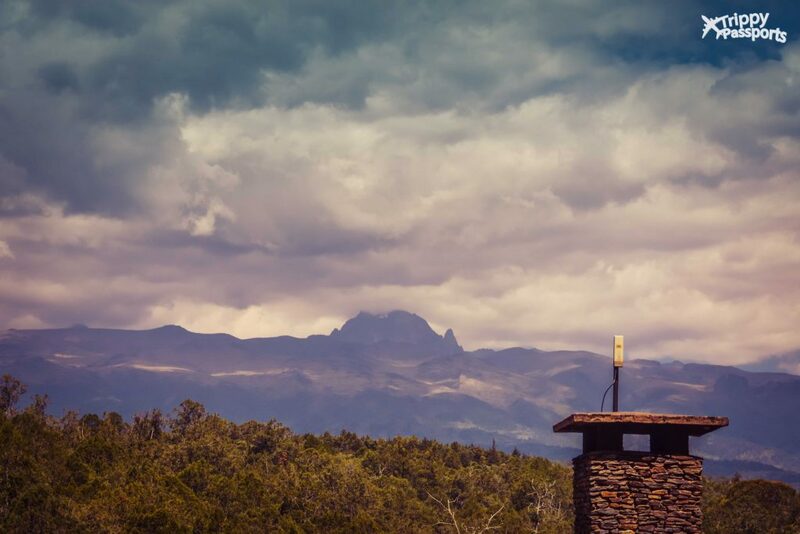 Sitting at the base of Africa’s second highest mountain peak, the Mount Kenya Safari Club boasts of a golden history. Founded by Hollywood actor William Holden, this property has had the privilege of serving and hosting the likes of Winston Churchill, Ernst Hemingway and the erstwhile Maharaja of Jaipur among many other elite A-listers from across the globe. What’s even more interesting about the club’s location is that the Equator runs right through the property. So cool, right? As a result, expect warm, glistening sunshine all morning and the evenings to be quite chilly, typical of hilly regions. Literally sitting on Earth’s Equator! The Equator might be an invisible line, but that doesn’t stop us from posing. 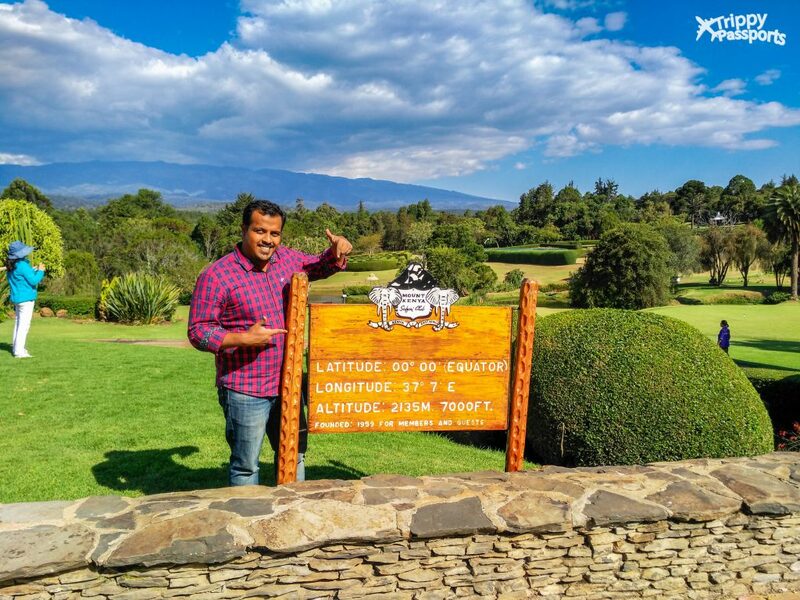 As we drove into the property, we were welcomed by mesmerizing views of the clear blue sky, freshly manicured lawns and unbarred views of Mount Kenya standing tall at the horizon. The porters swiftly took over our luggage as we proceeded to check-in for the night. Every bit of this club-turned-hotel spoke volumes of its grand origins. 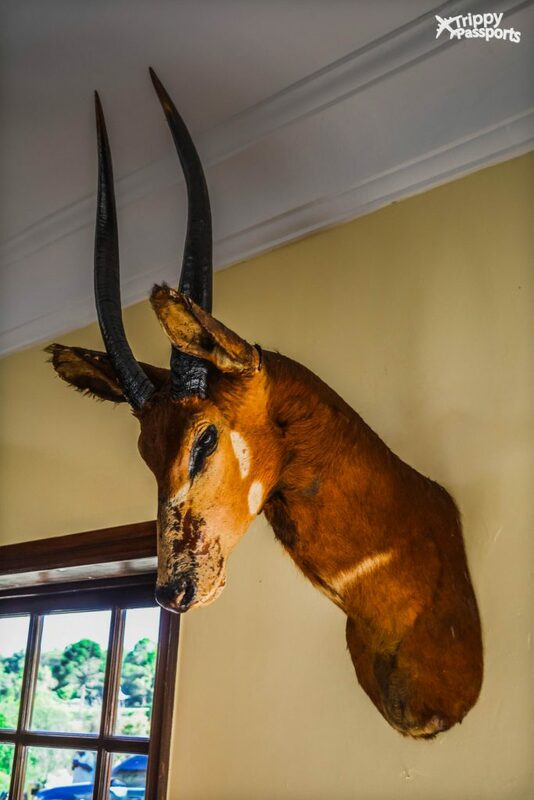 Rich wooden furnishings adorned the reception and the corridors, and as you walk along, you are greeted with mounts of animals reminiscent of the glorious past of this Safari Club. The gorgeous reception – so classy! These mounts were as good as real animals! While the paperwork was getting done in the background, we stepped out of the reception area to take a stroll around the property. And guess who was there to give us a royal welcome? A muster of gorgeous peacocks, prancing around the garden in all their glory! Getting chased by a peacock – just another day in Mount Kenya! So much greenery everywhere you look! Before getting all absorbed in the surrounding beauty, we thought it would be wise to finally get a glimpse of our room and freshen up. So we headed back to the reception, grabbed our bags and hopped onto one of their golf carts that transported us to our room. 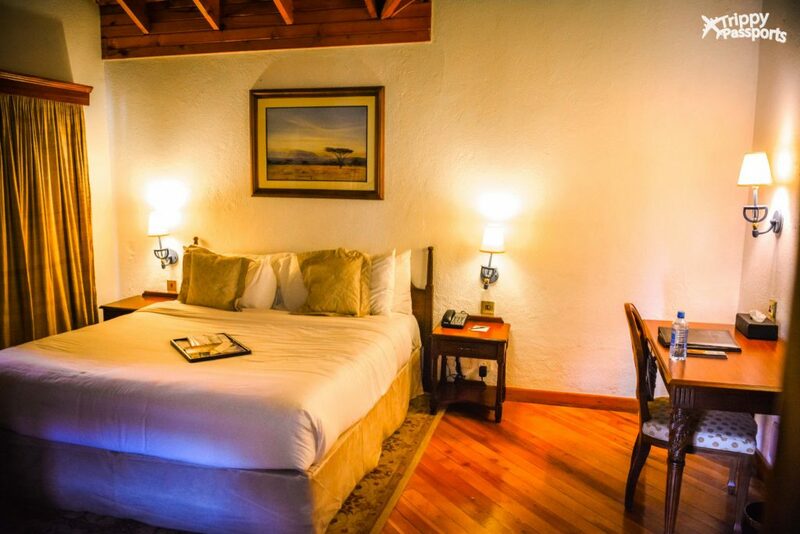 Our Riverside Suite was an independent cottage located in a secluded area, away from the lobby. It took us a couple of minutes to drive down the winding pathways to get to the cottage, and we were blown off our feet even before we had seen our room! 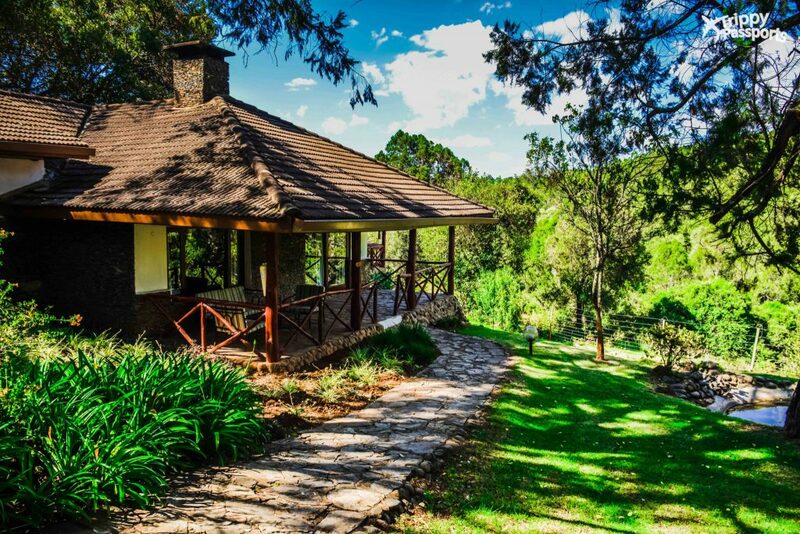 The cottage was located amidst a gorgeous forest, with a small river flowing by, and had an unbarred view of Mount Kenya. Serene and tranquil, this looked straight out of a picture postcard. The suite had a lavish living room that made way to a cozy bedroom and a luxurious bathroom. 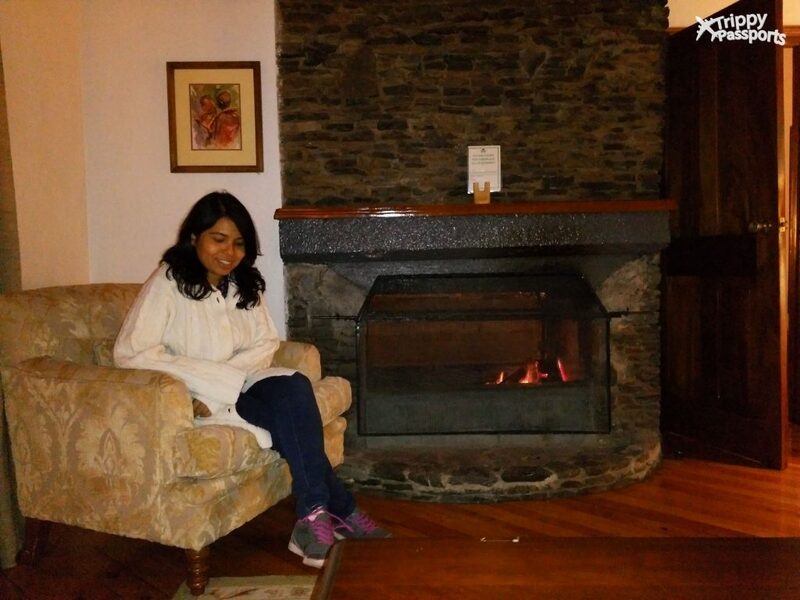 The brick wall separating the living room and bedroom had a massive fireplace to combat the chilly nights. We were told by the staff that it would be lit once the sun sets, to make the room warm by bedtime. It got so cold at night, we actually had to sit near the firplace to keep ourselves warm. The suite was perfectly furnished with comfortable couches, a study table and chair and of course, a bed that almost felt like a warm hug that you don’t want to let go of! 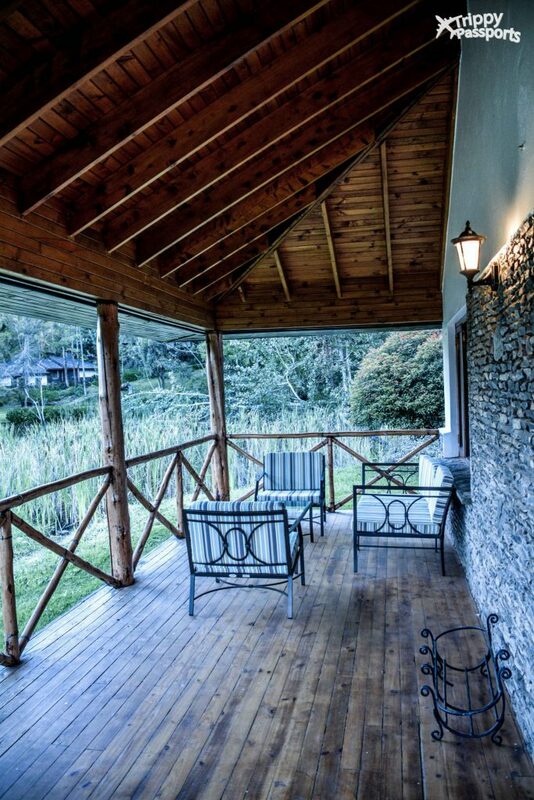 Our cottage had a beautiful private balcony too, looking straight out towards Mount Kenya. It was the perfect spot to chill at any time of the day. Even better with a book and some Kenyan tea for company. Our private terrace that looked out towards Mount Kenya. But if you can get yourself to wake-up at the crack of dawn, the balcony makes for a beautiful spot for catching a magical glimpse of the mighty mountain range, amidst the chirping of birds and the soothing sound of the river water flowing by. Early morning view of the mighty peak! 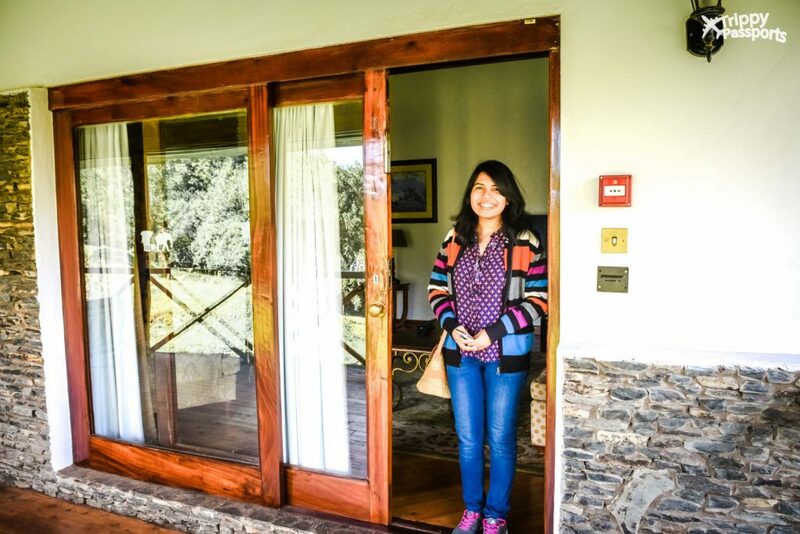 When choosing your accommodation at the Mount Kenya Safari Club, make sure you pick one that faces the mountains. It may cost you a bit more than the garden-facing rooms, but it’s totally worth it! You really don’t want to miss out on the experience of waking up to the view of the second highest mountain peak in all of Africa! 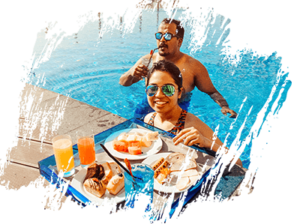 Food is an integral part of travel for us and good food always takes the travel experience several notches higher, if done right. The Mount Kenya Safari Club, being the prestigious institution that it is, left no stone unturned to floor us with their dining experience! Lunch and dinner menu was an amalgamation of Indian, European and African cuisine. Elaborate and catering to everyone’s taste, the menu boasted of typical Indian Rajma curry (red kidney beans) on one hand and a variety of African-style flame-roasted meats on the other. 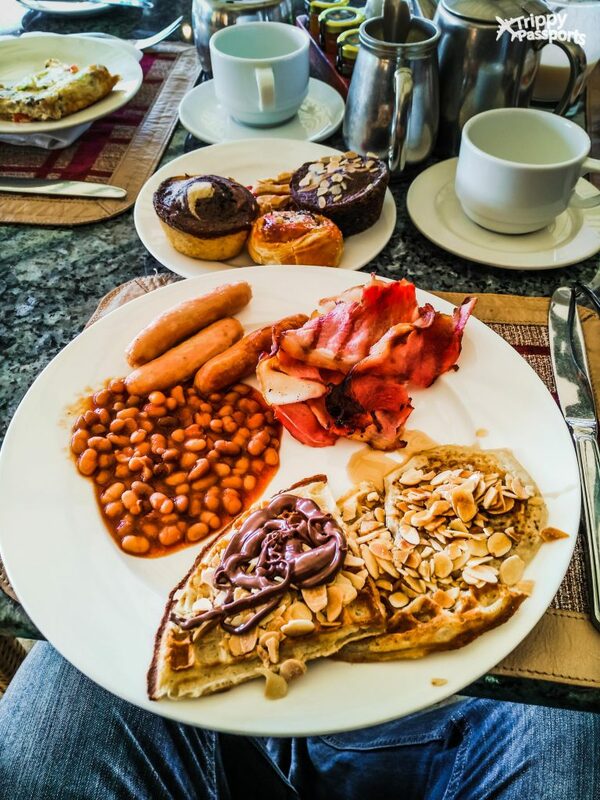 Just a small part of the breakfast we devoured. 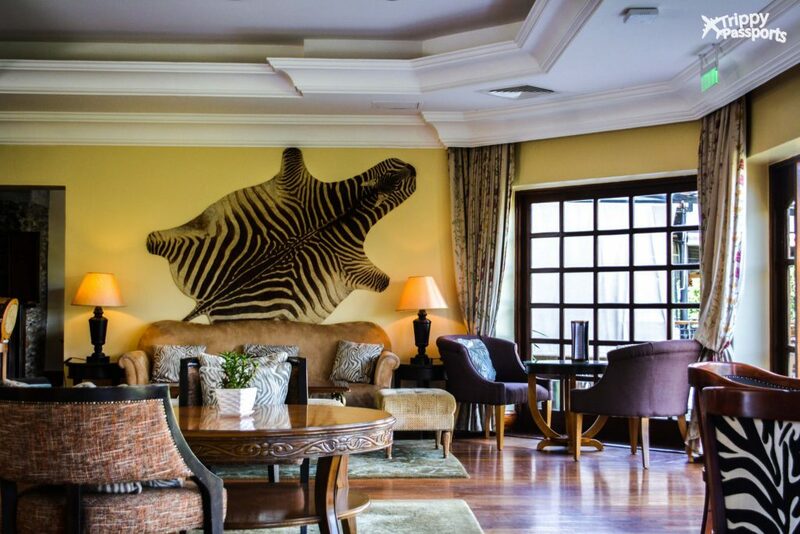 We also had a chance to spend some time at Zebar, the exclusive bar and lounge at Mount Kenya Safari Club. This place serves alcohol as well as afternoon tea and snacks. Though we didn’t have a chance to grab a drink here, we enjoyed freshly brewed Kenyan tea with scones and macarons in the afternoon. Zebar has a capacity of 50-60 people and exudes a certain kind of warmth rarely found in typical bar setups. The decor is also unlike anything you would expect at a bar, and reflects the rich history of the safari club. If you can spend more than a day at the Mount Kenya Safari Club, which we suggest you do, consider checking out some of the activities offered by the hotel. The William Holden Foundation, named after the founder of the Safari Club, runs an animal orphanage for the conservation of the local antelope called the Bongo. The orphanage is located adjacent to the hotel and you can buy entry passes from the shop inside the hotel premises. Another very interesting (and fun!) thing to do here is the Forest Reserve Walking Safari. This safari is unique because it involves walking, unlike any other safari you may have been to. You will be escorted by armed wildlife rangers, for obvious reasons, as well as a naturalist who will show you around and provide necessary information about your surroundings. This is a 3 hour-long activity and best done early in the morning. It really is not enough to spend a day at the Mount Kenya Safari Club to do justice to all that it has to offer. If we did not have further plans, we would have definitely spent another day here. But we were glad we decided to make a stop here, albeit for one night. 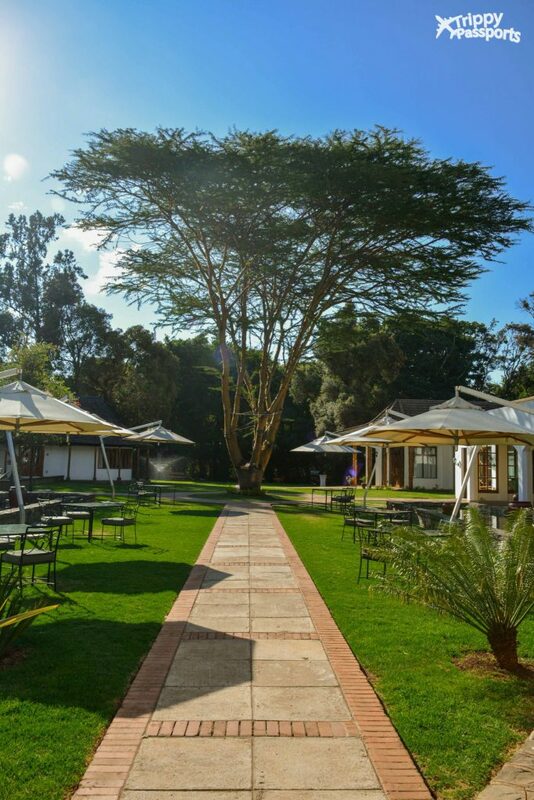 The Safari club also makes for a great spot for a weekend getaway if you are looking for a break from the chaos of Nairobi city. Just drive down in your personal vehicle or hire a car to get you here. It is a wonderful way to come in touch with the Kenyan countryside without even having to go on a safari! The gorgeous natural surroundings, the magical view of Mount Kenya and the royal ambiance of the resort, all made our stay memorable before we moved on to our final destination – the Ol Pejeta Conservancy. Great post 🙂 Looks like an incredible place to stay! So cool that the Equator runs through the hotel! Nothing better than a room with a view. And you got to see bongos – lovely. I’ve never seen one in real life. I haven’t been to Kenya yet. It’s still on my must-save-to-go list. But it must have been amazing staying at a place that’s exactly on the Equatorial line. Wow! I could be jealous. 😉 The view of Mount Kenya is a grand plus! I would love to wake up to those mountains! I have never given a thought about going on a safari until now and the Forest Reserve Walking Safari sounds like a fun way to experience it! I love staying in places like this when travelling (and am always a fan of hotels that have bars attached!). Love the taxidermy littered around the place! Looks like a really great hotel! Glad you had a good stay! It looks like a really unique experience, just added to my Kenya bucket list 🙂 Lovely pics! The walking safari part scared me a little, but it sounds like an amazing experience! I’ve never been to Africa, but I would like to one day to see the animals. And I’m glad that the William Holden Foundation has its own animal orphanage. It’s good to know that they’re leaving a good mark on Kenya. Kenya has been on our travel wishlists for ages! the landscape is so diverse and stunning! The Forest Reserve Walking Safari sound awesome! 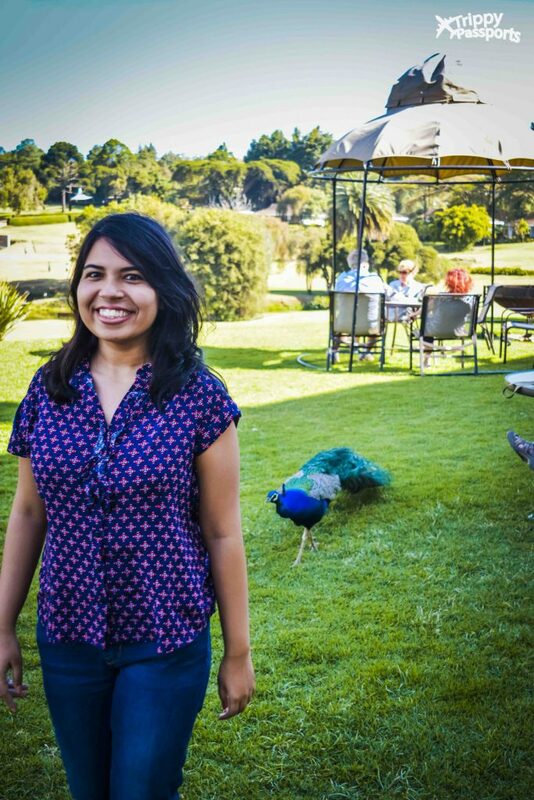 Lovely property but I’d rather spend my time doing the activities they offer specially visiting the animal orphanage. 😀 The Safari Club is another. It is AWESOME! Wow! Looks like a great place to spend a few days. Love the view and it’s so cool the Equator runs through the property, too! Leave it to Fairmont to give luxury yet still somehow convey a bit of the rustic and exotic- LOvely place! looks like an awesome place to stay! I sooo want to take the kiddos on a safari, have been waiting till they are big enough and I think we are nearly there!! Beautiful hotel in a scenic spot. The Fairmont chain of hotels do offer a five-star experience worldwide. It would certainly be a luxurious way to see some of Kenya and the amazing wildlife. If I have an opportunity to do a safari in Kenya, I want to stay at the Fairmont. I stayed in their hotel in Canada and loved it. I love how they incorporate the beauty and naturalness of Kenya. That’s neat about the equator running through it! Looks lovely, and your photos are amazing! Seems like a great place for a vacation. The bar seems like a nice place to have a drink and relax. Didn’t think that it would get that cold in the equator and then I looked at your pic again (7000 ft above sea level). We love staying at Fairmonts and are looking to book an African safari trip- so this is perfect! I will be sharing this with my husband! Love all your photos and enjoyed reading this post. This place looks so fancy! The activities sound great as well. Would love to do a walking safari and visit the animal orphanage! You have some lovely photos on your site! I am a big fan of the Fairmont hotels in Canada. I’d love to stay at this one. This looks so ELEGENT! I love the dark wood finishes, I’m sure that staying there was an incredible experience! Looks like you had a short but sweet stay. Such a gorgeous place, i can see how it’d make the perfect weekand getaway. Such a great post! Would love to visit Kenya! Kenya is on my bucket list, can’t wait to go. Sounds like you had an amazing time and that cottage you stayed in looks so nice! Wow, it looks so idyllically! Would love to do a walking safari myself one day. Hopefully in South Africa next year! Aww this looks like a fab place to stay! I like the idea of the Safari walk!! What a place to stay! I love every single detail you have presented in here. The fact that the equator passes through the property is a big surprise. Did you know about that when you booked? I mean, people go to Ecuador to experience that and you found the same coordinates in Kenya! Hi we from South Africa and have never been to Kenya but it has always been one of my dreams, looks like you really enjoyed your stay. Great pics too I think you will inspire allot of people to add this to your bucket list! I am so excited you came to Kenya and visited Fairmont! You have told the story exactly as it is! Maybe next time instead of looking for a room with a view of Mt.Kenya, you should plan a 4-5 day hike of the mountain. Nice post! 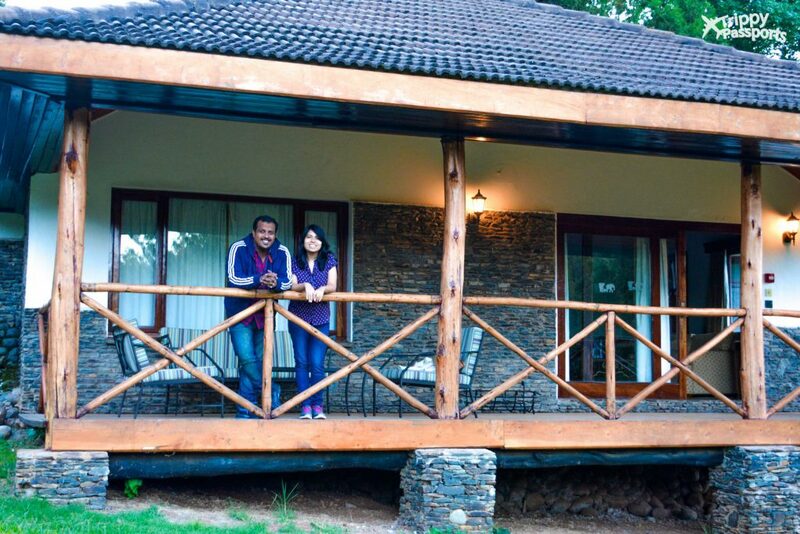 Mount Kenya Safari Club looks like a great getaway in Kenya. Love the fact that it combines contemporary convenience and comfort with an environment friendly ambience that seems to seamlessly merge with the surroundings. Reminded us of some similar resorts we visited when we were in Rwanda a couple of months ago. 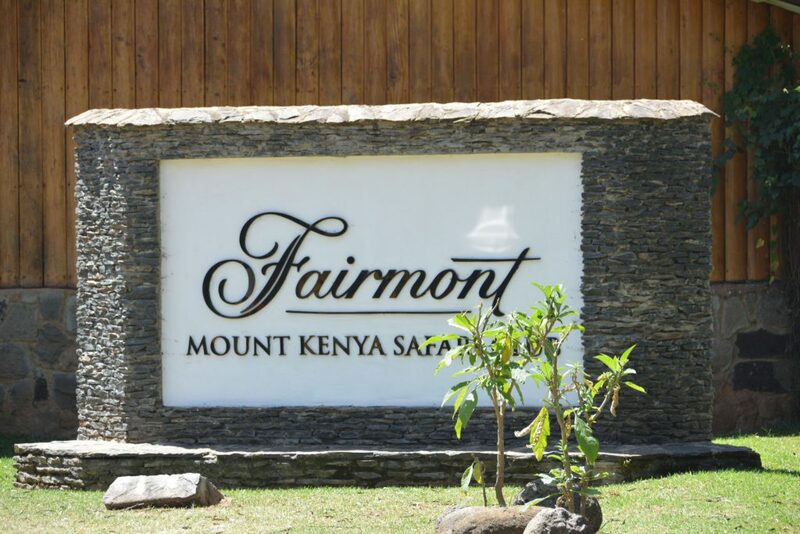 The Fairmont mount Kenya safari club looks like the perfect place to stay. The dining options look delicious. 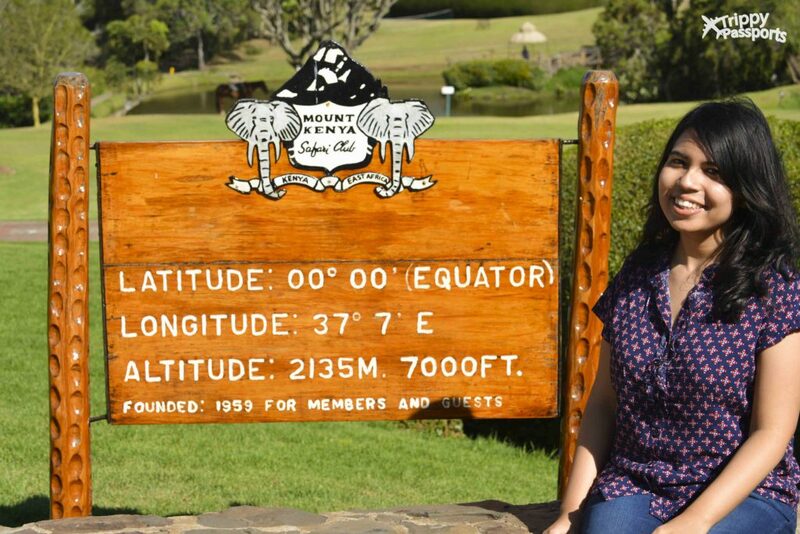 How unique that its located on the equator, I’d love to get a picture with the sign. I’ve always wanted to visit Kenya (my grandmother used to lead safari tours there!) and your post only makes me want to go more! The Fairmont looks like a beautiful place to stay! Such an amazing hotel! Incredible photos, brings out the hotel’s essence very well. Love the morning view of the peak. That’s so soooooo cool that the Equator runs straight through the hotel! This just looks like such a perfect paradise, no wonder all the A-listers stayed here. I definitely know where I’ll be staying if I ever visit Kenya! Also, did you go on the safari walk? That sounds like quite a fun adventure to go on but I think I’d still be a little scared being so close to wildlife animals hahaa. So beautiful! I’d love to visit Kenya!